Amish culture has been rooted in the soil since its beginnings in 1693. But what happens when members of America's oldest Amish community enter non-farm work in one generation? How will hundreds of cottage industries and micro-enterprises reshape the heart of Amish life? Will traditional eighth grade education still prove adequate? What about gender roles, child-rearing practices, leisure activities, and growing ties with outsiders? 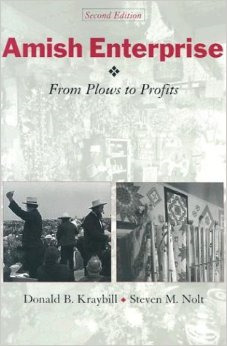 Amish Enterprise was the first book to discuss these dramatic changes that are transforming Amish communites across North America. Based on interviews with more than 150 Amish entrepreneurs, the authors trace the rise and impact of businesses in Lancaster's Amish settlement in recent decades. In this new edition, the authors update demographic and technological changes, and also describe Amish enterprises outside of Pennsylvania in a new chapter.